The Royal Decameron Tafoukt Beach Resort offers guests the lively city life of Agadir while staying in a beachfront resort. With direct access to the city’s main beach, this all-inclusive hotel offers stunning views of the Atlantic Ocean all throughout the resort. Guests staying at the Royal Decameron Tafoukt Beach Resort are invited to relax at the beach, sip cocktails on the poolside terrace and indulge in the delicious cuisines of the resort's restaurants or workout at the wellness centre. 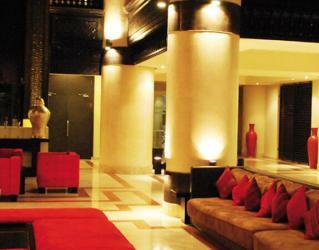 215 spacious rooms and suites are scattered throughout the resorts 7 buildings. 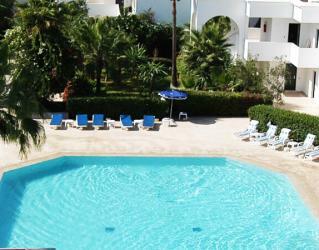 All rooms have a balcony or terrace offering views of either the pool, sea or the gardens. 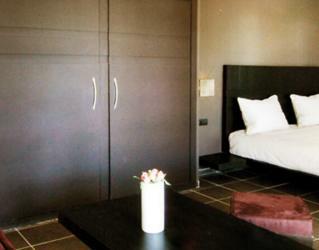 The contemporary designed rooms include a satellite TV, air conditioning, safety deposit box and an en-suite bathroom. 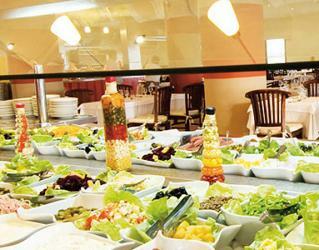 The main restaurant of the resort, Muso, offers guests a packed buffet for breakfast, lunch and dinner. 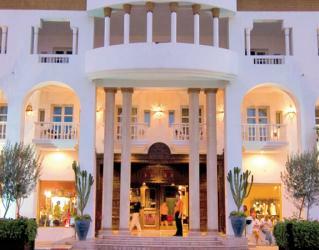 Cafe Del Mar Restaurant offers a selection of delicious A’la Carte dishes for dinner. A snack bar is also available daily for snacks or beverages in-between meals. 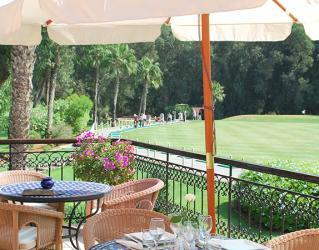 All of the restaurants serve Moroccan and international cuisines. Take advantage of the all-inclusive package with unlimited local alcoholic beverages and soft drinks at the resorts 3 bars: Pool Bar, Champion Bar and Factory Discotheque. The animation team at the resort puts together an impressive entertainment program. 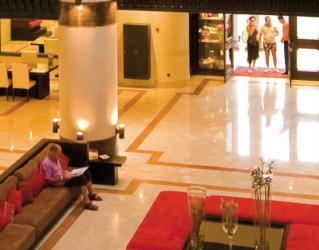 There are different shows put on at the theatre by international animators and of Moroccan folklore. After the show, dance along to the music by the DJ at the hotels night club, The Factory. 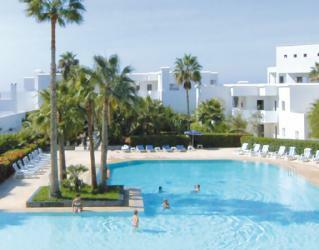 During the daytime, the swimming pool offers Aerobics, step and gymnastics. Other daytime activities include archery, table tennis, beach volleyball and dancing lessons. In an atmosphere that is both relaxed, and passionate surrounded by the Moroccan kindness and hospitality, between the Atlantic waves and the sun of the Atlas, Golf du Soleil offers golf enthusiasts an extraordinary combination of sensations and well-being. 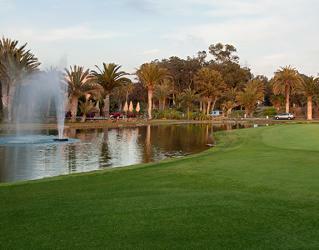 2x18 hole Golf courses with breathtaking landscapes and diverse game strategies. The "Tikida Course" (18 holes): Designed in the middle of an eucalyptus forest, by Fernando Mueller & Gerard Courbin, a classic design, you will develop all your strategic intelligence and use all the clubs in your bag. The Championship course (18 holes): designed in the American style with their great diversity ,it allows all level of players to find a golfing pleasure. The "Florida" spirit of the course design forces you to deal with several obstacles such as water, large bunkers and face slightly elevated greens. Located at 10km from Agadir, the internationnally well known 27 holes golf course les Dunes was created in 1991 and stretches in 252 acres. 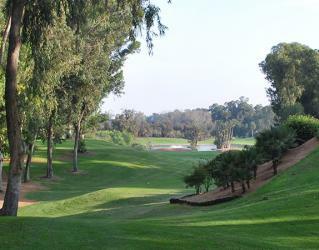 Its marvellous undulating courses are punctuated with 4 lakes and lined with a typical Moroccan vegetation such as eucalyptus, genets, tamaris and palm-trees. 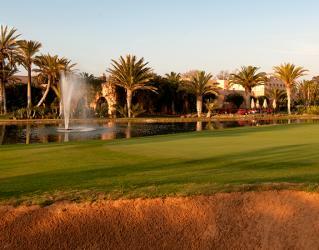 The three outstanding 9 holes par 36 (8614 yards) are ranked among the bests courses in Africa. The talented designer Cabell B. Robinson follower of Robert Trent Jones, created in order to delight beginners and experienced golfers three 9 holes full of surprises. Agadir benefits from an oceanic climate with temperate winters and one of the coolest summers in Morocco . The golf course les Dunes happens to be one of the new golfic destination in Morocco in which it remains pleasing to play all year long. Private and group lessons, clinics.